IQ score is like physical weight. It should vary a lot. If one eats more chicken one becomes fattier and therefore is heavier. If one eat less one is less heavier. The IQ measurement will usually see that one person would score certain amount because of that, some one is a person, he/she weighs in a certain way. This is also why the measurement process ‘thinks’ one shall also, have a constant or slightly varying, IQ score. But like one’s actual weight, IQ score can also vary a lot. The other thing is how do we measure intelligence on a spring balance? IQ score measurement is a big farce. Also MD and high income professionals are automatically pressed into the high IQ group and manual workers into less. IQ measurement is a social prejudice, by employing fictitious or pseudo-scientific claims. This practice wants to preserve a task force that works to steal our comfort. And this practice gives a license to bragging to those who earn more. These ‘more‘ earners can automatically buy the reports of IQ, produced by many IQ retail companies, and that makes commercial sense for the retails and websites and arrogance for a high earner. Nothing much scientific about it. eg If a man got 125, I ‘can’ — and you or anyone can, ask him some question that he can never answer. The whole sample of data, need to vary a lot and over age, time and place and situation etc. E.g. 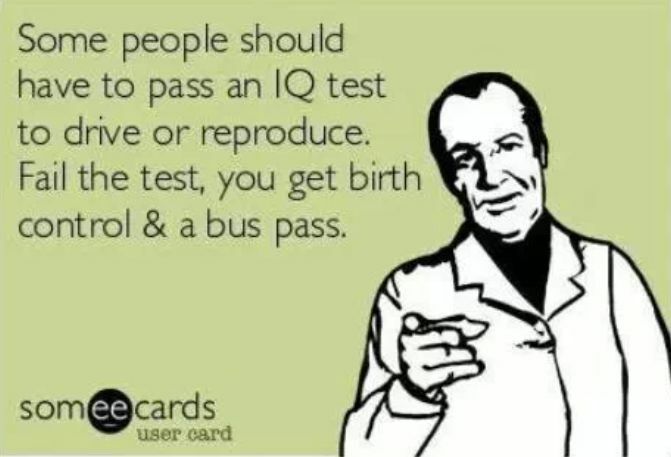 one need to appear for 10 different tests of intelligence, from different question makers and even method setters. Then that score can be examined in a different situation. Give any situation to the to be examined about a ship in a storm and one in an airport. Tests need to be varied a lot. Only then intelligence will make some sense. Weight is one physical variable. Whereas intelligence is millions of physical variables. Intelligence is our response, to a given situation, where the outcome is to be apprehended and measured against our preconceived notions. Its widely subjective, even when there would be consensus about the outcomes. eg falling on a floor due to slipping, is not too intelligent and dancing properly; isn’t achieved by all. But there is consensus that one has to stand stable and thats intelligent. What if the situation is different and a dynamic one; one might and a big fraction might fall. Its that spur of the moment response and success which is a measure of our intelligence, among other variables, such as physical dexterity. So, mental intelligence, as opposed to physical intelligence. eg Hawking has to be intelligent, but only mentally intelligent but an acrobat could be both physically and mentally intelligent; to varying degrees. Then there are 1000s of measure of our intelligence. A worker in a super-mart is more intelligent than me without any work experience. I wouldn’t know how to fix a damn bolt. You can happily call me Mr Bolt, but it does not prove, I am intelligent in that situation. Of-course a truly intelligent person would be Feynman, who could fix radios and play that prank, he could fix lockers and so on ! A truly intelligent person should be able to accomplish all sorts of jobs, which is why taking exams of certain kinds and producing some sort of successful candidates, so as to grab them in your corporations, is whats going on in the society. These are premeditated and often over the careful implementation over decades that these have been formulated. But on the other hand, true natural intelligence, which enables one to be a successful and witty person, is a different story altogether. You might wanna read the last post on IQ. ‹ Concept of contra-variance and co-variance tensor ! !